This extremely sociable gelding is well-loved by all. 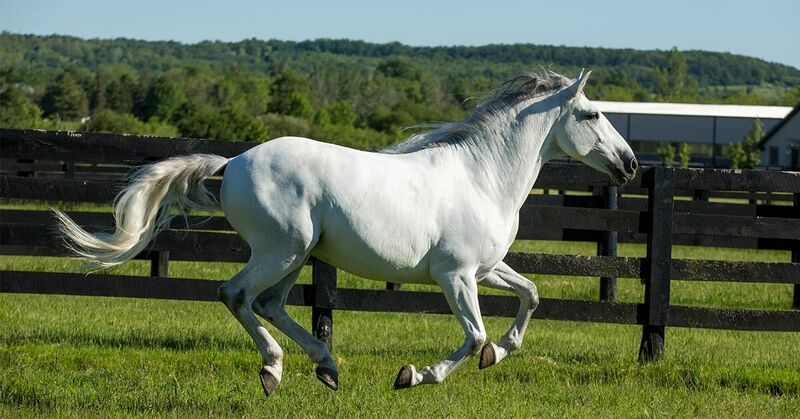 This 12 year old Spanish purebred is an experienced Cavalia performer: he’s been with the company since 2012! Andaluz is a horse full of character and bursting with strength and intelligence. As is the case with many Spanish Purebred horses, because of their ability to learn quickly they make huge strides with good instruction and are capable of high levels of training. Andaluz is no different, a natural-born star. Just being proficient in one discipline is impressive enough, but Andaluz is trained in three different ones! With a mastery of liberty, dressage, and even high school dressage, there’s not much this overachiever can’t accomplish with the support of his rider, Elise and groomer, Nyckeïja. Because of his high level of training, this beautiful performer takes part in three different Acts in Cavalia’s latest production, Odysseo. Andaluz delights his fans in the act “The Odyssey.” The first number after intermission, Odysseo eases the audience back into the show with a serene musical number and calm pre-dawn hillside setting. Horses and humans are all lying down on the hill sleeping when the scene starts, but are gradually woken up by a musician playing on top of the hill greeting the day. Once awake, the horses and their riders begin to walk the stage in unison, following intricate patterns and formations. What’s more, these walking patterns become continually more complex as the act continues. This number is an ode to the challenging journey that humans and horses travel together. While Andaluz is full of energy and performs beautifully on-stage, off-stage, he is one of the calmest horses on the team. This extremely sociable gelding is well-loved by all. He is usually found saying hello to other horses, trainers, groomers, and anyone else in the vicinity. Funny enough, Andaluz and the Vet Tech Marge have such a strong connection that his stall always shares a window with her office in the stables. Andaluz is such a social butterfly that once, during an Odysseo performance where he was running at liberty, he decided to break formation and go visit his friend and stall neighbour, Heritage, on the other side of the stage! After a little socializing he eventually went back and joined the rest of the show. In addition to socializing, this stunning horse loves to kick-back, relax and roll on the ground till his heart’s content. Check out this video of Andaluz after a performance meeting some of his loving fans! Check out Andaluz and the rest of his friends in Odysseo, the latest show from Cavalia!